By Donald W. Shriver, Jr.
Abingdon Pillars of Theology is a series for the college and seminary classroom designed to help students grasp the basic and necessary facts, influence, and significance of major theologians. Written by noted scholars, these books will outline the context, methodology, organizing principles, primary contributions, and key writings of people who have shaped theology as we know it today. 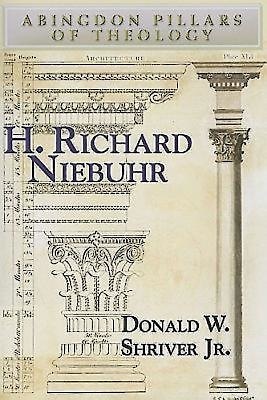 Dr. Donald Shriver tells us that H. Richard Niebuhr wrote about God in a serious yet joyous exploration. This book summarizes Niebuhr's faith journey as seen through the lens of his major works. While Neibuhr did mean to move his readers to think, struggle, argue, and even pray, he expected nothing less from himself. It is the hope of the author that by reading this book, readers will be better prepared to travel a path of their own.